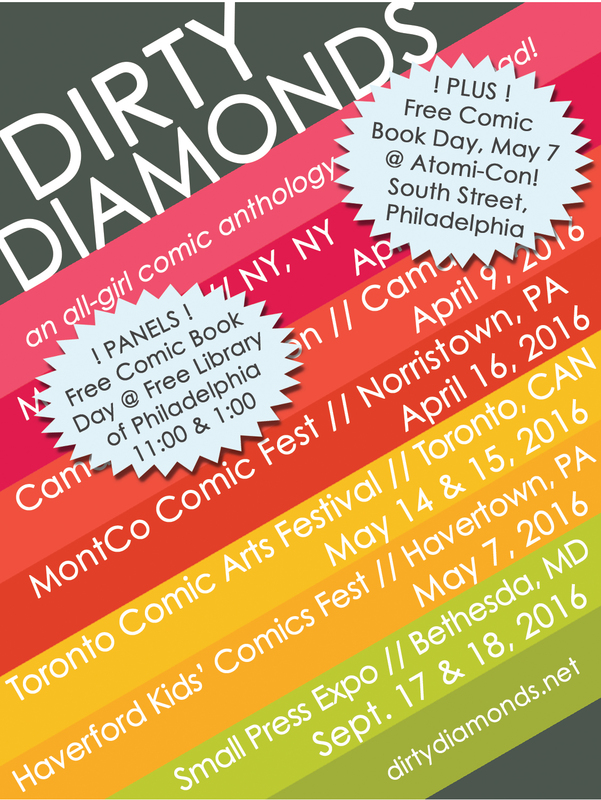 Kelly is the organizer of Atomi-Con's all-ladies comics tent, so check it out! Free comics!! We'll also be representing COMIC NATION at Science After Hours: Nerd Olympics at The Franklin Institute on April 29th, starting at 7pm. Use the code SAHTFI for $2 off tickets! Go to fi.edu or get them at the door. Next up, and last on our list of traveling shows for the year, is MICE in Cambridge, MA! 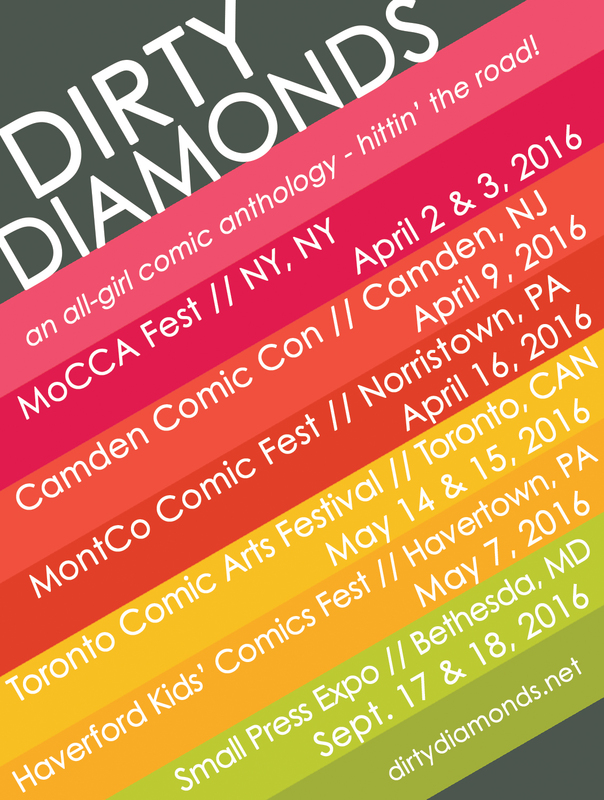 Table A36 will have the usual cast of ladies from the Dirty Diamonds crew. Also, be sure to check out Kelly & Claire's panel on Sunday afternoon about Marketing for Self-Publishing and Micro-Presses, moderated by Dan Mazur. Our fellow panel-mates are none other than fellow Philly go-getters and compatriots Box Brown of Retrofit Comics and Josh O'Neill from Locust Moon Press. Locust Moon will also be the hosts of our final con of the year, right here at home in Philadelphia - the eponymous Locust Moon Comics Festival on October 25th! We're hittin' the road! 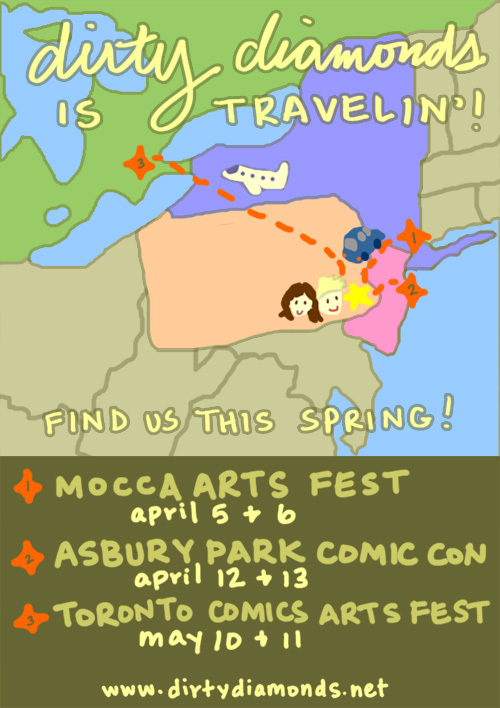 Spring is going to be a busy time for us, and we're pumped to go to THREE new cons in April and May. If you're heading to MoCCA Arts Fest, Asbury Park Comic Con, or Toronto Comic Arts Fest, stop by and say hi! 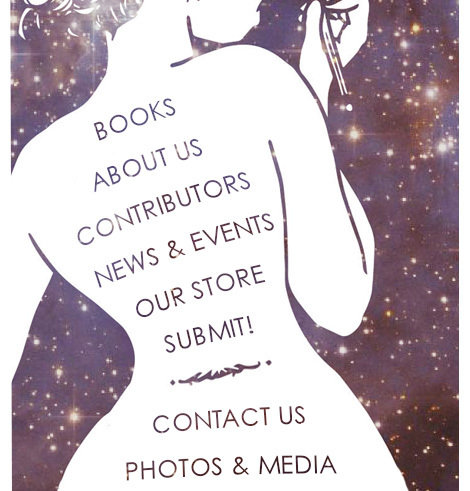 Check back here for more information closer to the events to see exactly where you can find us.